A California DMV registration is done in order to show proof of having paid the fees and taxes involved with registering a motor vehicle in California. A California DMV registration consists of a new license plate, a validation decal, as well as your registration certificate. A nonresident vehicle is one that was last registered in a state besides California. 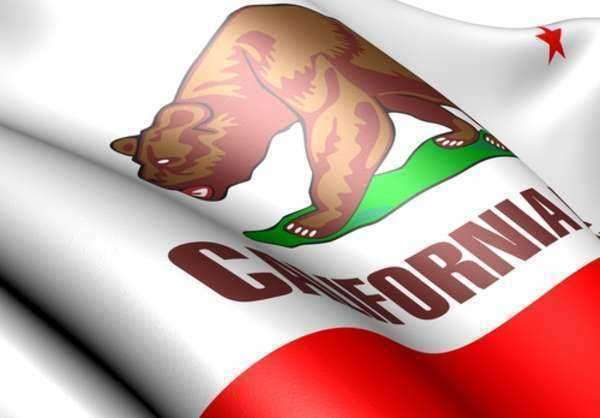 Any driver who brings a vehicle into the state of California, or buys a nonresident vehicle when in California, should understand the California DMV registration requirements. • Form REG 343 Application for Title or Registration: This must be signed by all registered owners of the vehicle as they appear on the out-of-state title and/or registration. Their names and addresses as well as the lien holder should also be included on the application. • Out-of-State Registration Certificate, a letter from the last jurisdiction or registration that verifies the registration period, or renewal notice for the current year. card issued will state that it is nontransferable and the DMV will not issue a California title. • Form REG 262 Vehicle/Vessel Transfer & Reassignment Form - Bill of Sale, Odometer Disclosure, & Power of Attorney. • Form REG 4008 Declaration of Gross Vehicle and Combined Gross Vehicle Weight for commercial motor vehicles. • Form REG 4017 Permanent Trailer Identification Application/Certification. In accordance to the rules of CA DMV Registration, the vehicle must also be inspected by an authorized Department of Motor Vehicles employee, licensed vehicle verifier, or a law enforcement officer. These vehicle inspections are very easily obtained by bringing the motor vehicle to a local DMV without any charge. • The last issued out-of-state title, which should be signed by the lien holder (if there are any) and the seller. If you are not in possession of the title, you must request a duplicate. • Form REG 262 Vehicle/Vessel Transfer & Reassignment Form, if the seller is not the registered vehicle owner. • Form REG 262 or the odometer disclosure on the title if the vehicle is less than ten years old, signed by the buyer and seller. • Form REG 166 a Notarized Lien Satisfied/Title Holder Release or a release of interest of the appropriate line of the title from the lien holder if the only change is the removal of the lien holder. • Lease or rent a residence in the State of California. • Claim a homeowner's exemption in the State of California. • Accept gainful employment in the state of California. • Intend to be located or live in California on a permanent basis. • Enroll dependents in a K-12 school. • Enroll in a higher learning institution as a California resident. • Registration Fees which are collected on most on-highway vehicles in order to offset the Department of Motor Vehicles costs. • Reflectorized License Plate Fee which is collected to cover the costs of license plate issuance. • California Highway Patrol Fee which is collected to offset the costs of the California Highway Patrol. • County Fees which vary by county. These fees are collected at the request of the specific county of residence for various special programs. exemptions from the VLF fee on any vehicles that they register in California. or vehicle license fees. Permanent trailer identification trailers must pay an original fee along with a service fee every 5 years for renewal. subject to Commercial Vehicle Registration Act fees. The declared weight of a tow truck is based on the vehicle’s gross vehicle weight rating, not its combined gross vehicle weight. transport people. Cargo Theft Interdiction Program Fees are used by the California Highway Patrol to promote security for commercially registered vehicles and recover stolen cargo. of the vehicle’s purchase date. • Nonresident Service Fees are collected on motor vehicles and vessels excluding Special Equipment and PTI trailers. • Penalties can be assessed when certain fees for nonresident vehicles are not paid within twenty days of the date that they are due. Permanent trailer identification trailers are only assessed the late use tax penalties.